And this isn’t static, of course. 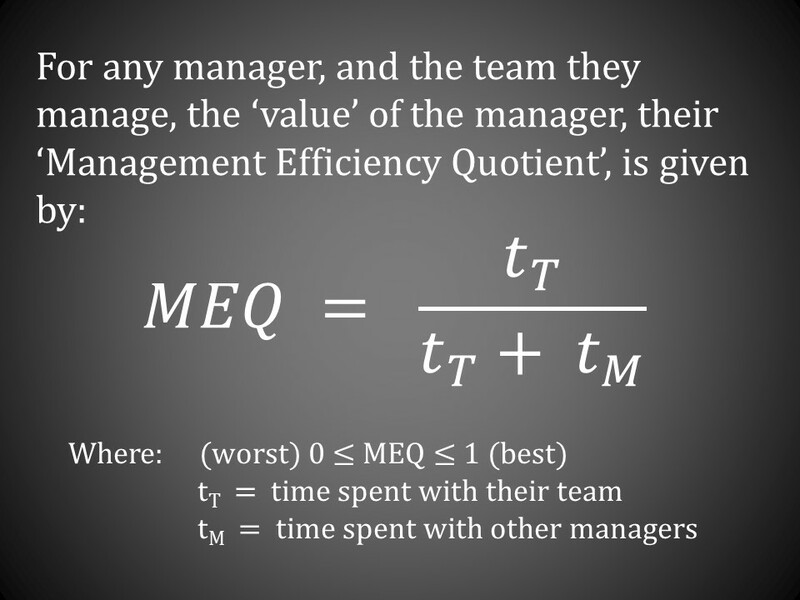 The values of tT and tM, and thus their MEQ, can vary over time as a manager’s approach changes: some get better but some get worse! This entry was posted on Monday, April 1st, 2019 at 9:46 am	and tagged with Management and posted in Academia, Education, Industry. You can follow any responses to this entry through the RSS 2.0 feed. « Incompleteness, Inconsistency and Those Pesky Words!